ttt_aircraft_2017 - Is a TTT map set at on a flying Ship. It has a working Helicopter that you can jump inside and fly around the map. It also includes Traitor Traps and a Traitor Room. 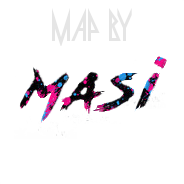 This is a creation by Masi. - Random guns every single round! How do you enter the secret? Hey any way you could make it 32 players? @BungusChungus lmao troll or serious?